Sometimes, a web browser may get stuck in a loop or incorrectly display a webpage because it can't process website data known as cookies, or other information stored in its cache. Often, simply clearing the browser's cache and cookies will fix the problem. When done, close and re-open your browser. 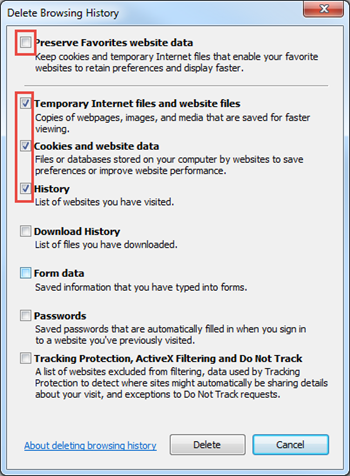 Make sure Temporary Internet Files, Cookies, and History are checked. Press the Alt button on your keyboard. 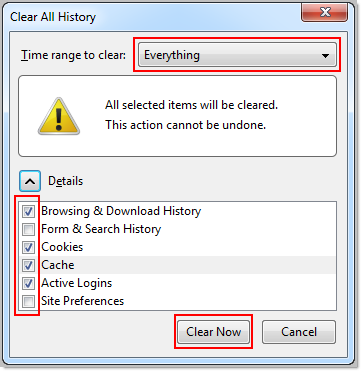 Click the dropdown list next to "Time range to clear:" and select Everything. Under "Details," check Browsing & Download History, Cookies, Cache, and Active Logins. 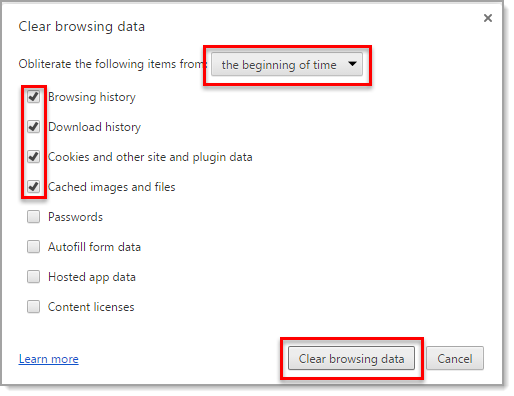 Check Browsing history, Download history, Cookies and other site and plug-in data, and Cached images and files.